LIMA, Peru – As the bus sways back and forth over a meandering jungle road, a middle-aged man stands up in the aisle. He carries an old rifle slung over his shoulder and wears bland army fatigues. Most of the passengers pay little attention. As he walks down the aisle cap in hand, a few passengers donate their coins. His name is Revenido Campos, and he’s a 41-year-old rondero, as vigilantes in Peru call themselves. He belongs to a group of nine vigilantes who protect this road, which extends from the capital, Lima, to Pucallpa – literally the end of the road. From Pucallpa, travelers can only venture further into the Amazon by boat or airplane. Campos says that before the vigilantes patrolled this route, passengers on three buses were attacked and robbed at gunpoint. Those who resisted were taken outside and shot to death. The part of this road that descends from the mountains into the jungle is dangerous, because of its remoteness and due to the criminal activity that takes place here. Tens of thousands of hectares of coca are grown in the region, helping rank Peru among the top three coca-producing countries in the world. Robberies mostly are committed by local villagers, who form small, armed groups to stop the buses. Like the ronderos, rondas campesinas are vigilantes who protect the villages and cities in the mountains of Peru from thieves and other criminals. They carry whips of leather, or binzas, made from a bull’s genitalia and used to punish delinquents who are caught. Another duty of the rondas campesinas is to guard the social honor of the villages, a judicial system based on indigenous Inca law. Adulterers and drunks are often punished under this system, for example. 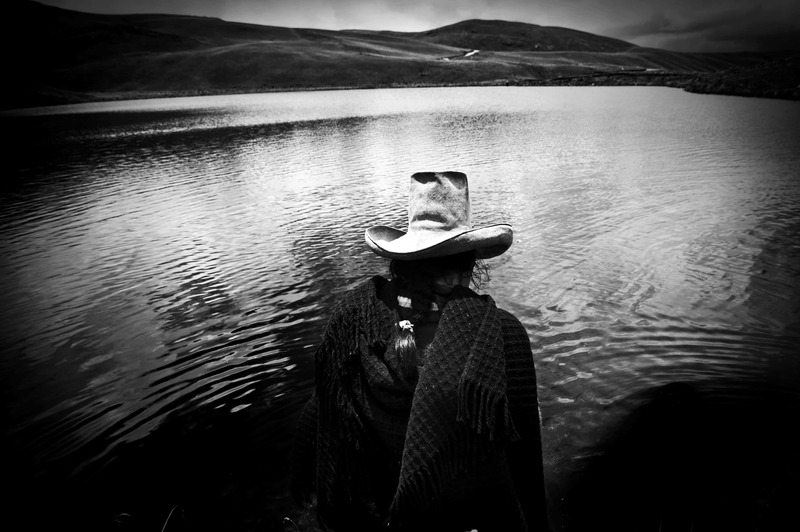 According to José Rodríguez Villa, a professor of anthropology in the northern Peruvian mountain city of Cajamarca, vigilantism is “a phenomenon that is studied often.” Vigilantes, he says, spread out over the Andes from Cajamarca. 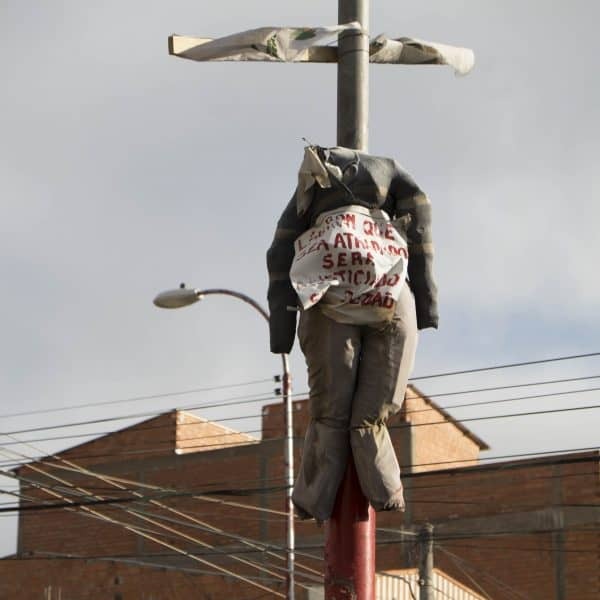 In Bolivia, for example, dolls are hung from poles to scare off thieves. In the 1980s, when the Marxist group Shining Path initiated its terrorist activities in the country, the Peruvian government viewed the vigilantes as a way to protect villages from being overrun by guerrillas. This helped vigilante groups become stronger and more entrenched in society. They also spread to cities, and today, many Cajamarca residents say they feel more secure because of them. Market vendors say people won’t steal when armed and uniformed vigilantes are around. Over time, they have usurped the role in many towns of police officers, who often are viewed as corrupt and lazy. The use of this type of vigilante justice – and corporal punishment in general – has prompted an interesting debate, particularly given that Peru has signed Convention 169 of the International Labor Organization (ILO) into law. That convention recognizes the right of indigenous communities to structure their society according to their own traditions. The question, says Rodríguez, is to what extent vigilantes actually act according to those traditions. The situation seems to have created a conflict of international law, with the ILO convention on one side, and Article 5 of the Universal Declaration of Human Rights on the other, which states that citizens cannot be subject to cruel, inhuman or degrading punishment. In the area of Cajamarca, the rondas campesinas also are stepping into politics. For years, locals have fought against the opening of a new gold mine in the area, which would dig into a sacred mountain. In 2011, the rondas blocked the entrances to an existing mine in the area. So far, the rondas have managed to postpone the opening of the new gold mine, at least for a few years. Back on the bus, rondero Campos is getting ready to make his departure. 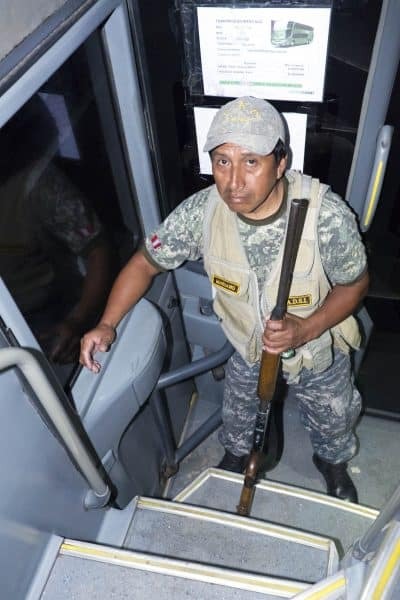 With the most dangerous stretch of the journey behind him, Campos will wait for the next bus for another five-hour ride in the opposite direction. He earned little money on this ride, the equivalent of about $5. He picks out a Bolivian coin someone gave him, which is worth next to nothing in Peru. In a month Campos says he collects about 300 Peruvian soles, the equivalent of $100. It’s barely enough to feed his family. But he didn’t make much more than that before, when he worked as a day laborer. “People don’t really understand or appreciate our work,” he says before stepping off the bus. What should countries do about the Amazon’s ‘uncontacted’ tribes?